Love Boa's; inquisitive, but calm and docile. Personality is awesome with boas and they get big, but no unmanageably big. Especially since they are usually so calm. 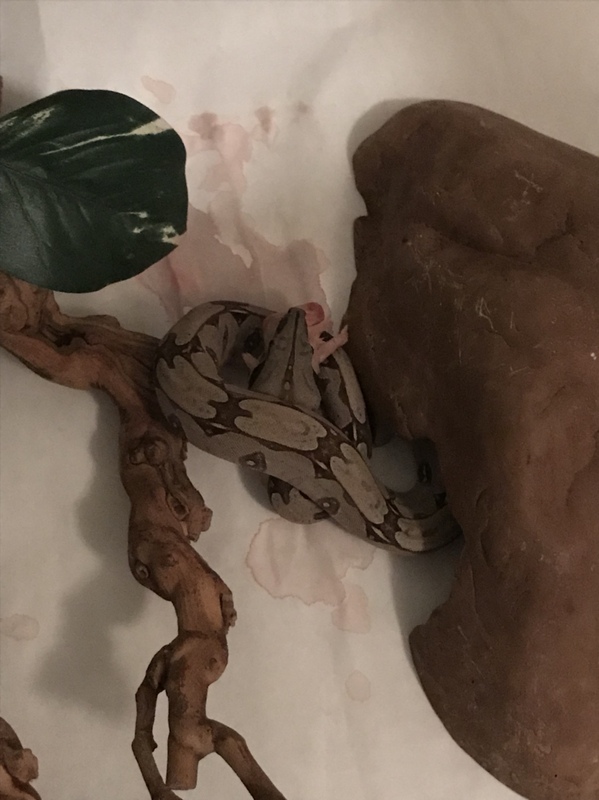 Behira, my female BCI, has become my favorite snake to handle. However, she's my least favorite to feed (killer food response), so it balances out . Seriously, she's amazing and so is Leonard! He will grow up to be a very handsome man! Third feeding in the books for Leonard just now. This is his last fuzzy mouse and will move up to hoppers for his next meal. Last edited by jmcrook; 07-16-2018 at 11:05 PM. Everybody likes it when their snakes grow, but I miss this size now and again! 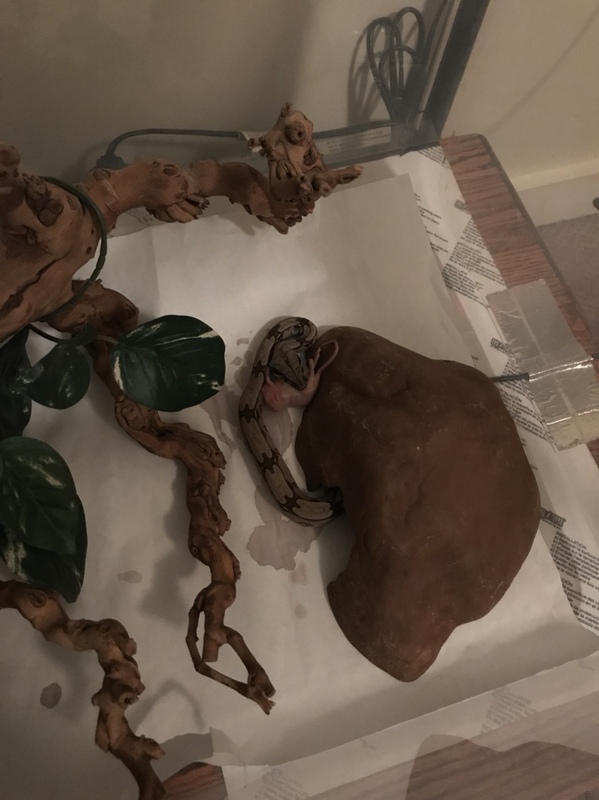 There is something unique about little boa constrictors. Last edited by Gio; 07-16-2018 at 11:28 PM. I know just what you mean. I’m excited to see him grow over the years but by the time he’s bigger I know I’ll miss seeing him as a tiny little red tailed worm. At least this guy will stay smaller for longer than Phyllis and Gerald. If I turn my back for too long it seems like either of them grow a foot before I realize what happened! BCC stay little forever lol. I think Gina has grown maybe 6 inches since i got her 16 months ago. She grows slower than paint dries. Woah that’s crazy slow hahah. She’s two years right? And how long, three feet? Last edited by jmcrook; 07-17-2018 at 01:15 AM. Yeah boas grow slow as paint dries. Gina has put maybe 6 inches since i got her 16 months ago. And he will for sure stay smaller than your retics for a MUCH longer time. I would be surprised if he broke 8 feet. Plus the other bonus is boas tend to not push or pace unless it gets hot out. Thats about the only time i see my boas getting antsy at the doors. I just slide one open and they usually will sit on the litter dam to cool off. Also boas dont eat nearly as much as retics or as often. Heck Rosey and Vicky eat a large rat once a month. Vicky sometimes gets a medium rat instead as I'm trying to slim her down a little since she got a little chub on her from eating all of Dotties refused rats lol. Yeah, Gina was born August 22 2016. Chris Wolf sent me a pic of the litter after they were born, all in a giant pile of goo lol. She's maybe pushing 3.5 feet if that. And she ate on a little more 'meaty' schedule of every 7-10 days on mice and once she moved to weaned rats, every 2-3 weeks. 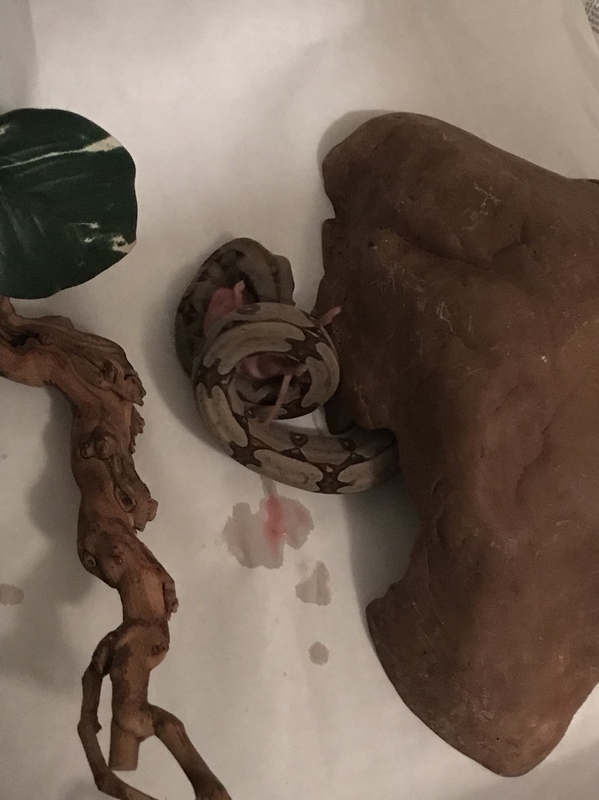 Some people feed them every 2 weeks on mice but i feel for a baby snake under 1 year old, they should get a little more food as that is their biggest growth and development period. Last edited by Sauzo; 07-17-2018 at 01:22 AM. Right on. That’s so wild to me that a “big” snake will be so small for that long. I’m doing 7 days right now but might give him a 7-10day schedule once he’s on hoppers. I did 7 days until Gina moved up to adult mice. Then she went to every 10 days. Then when she moved up to weaned rats, like i said, i moved her to every 2-3 weeks. I personally would stick to once a week when on hoppers but that is just me. That is what i have done for all my boas.